Sen. Ben Sasse (R-Neb.) led a group of fellow lawmakers in introducing the Transporting Livestock Across America Safely Act to the Committee on Commerce, Science and Transportation on May 23. Introduced as S. 2938, the legislation states that HOS and ELD requirements would take effect only after a driver travels more than 300 air miles from his or her source. Current law mandates that drivers turn on their ELD devices after they cross a 150-air-mile radius. The bill also exempts loading and unloading times from the HOS calculation of driving time, allows drivers to rest at any point during their trip and permits drivers to complete their trip without heeding HOS regulations if they are within 150 air miles of their destination. According to a press release issued by Sasse’s office May 23, the rigidity of current HOS laws jeopardizes the welfare of hogs, cattle, insects and other livestock. The purpose of HOS laws is to manage the amount of time drivers are on duty. The 14-hour driving window says drivers are allowed a period of 14 consecutive hours in which to drive up to 11 hours after being off-duty for 10 or more consecutive hours. Under S. 2938, these requirements would be shifted to a minimum of 15 hours and a maximum of 18 hours of on-duty time. ELD and HOS rules have long irritated many agriculture haulers. 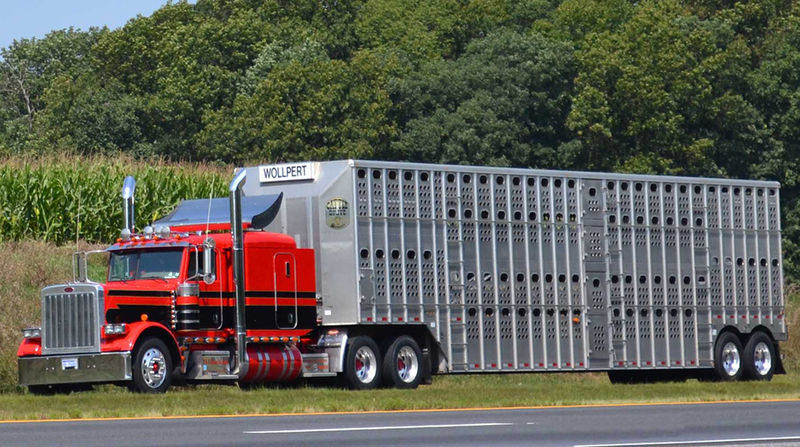 Currently, livestock haulers are operating under an exemption from the Dec. 18, 2017, ELD mandate that extends until Sept. 30. Federal Motor Carrier Safety Administration Chief Ray Martinez told House Highways and Transit Subcommittee members May 22 that the agency would soon release new ELD guidance pertaining specifically to the agriculture sector’s concerns. The bill has garnered praise from representatives of the agriculture sector, including leaders of the North Dakota Stockmen’s Association, the National Cattlemen’s Beef Association and the United States Cattlemen’s Association.